Fabulous riverfront estate set among beautiful oaks on a towering bluff that overlooks the intracoastal waterway and deep water dock. This property has been maintained to high standards by diligent owners and is a beautiful example of a vintage ranch home with appropriate renovations leaving plenty of nostalgic charm. Enter the home to find outstanding views from the main living space where a lovely light filled living room opens into the dining room and fabulous ''river room'' with lovely wood work complimented by plantation shutters that adorn the generous window space. A gracious island kitchen with dinette opens onto the brick lanai perched high on the bluff overlooking the sprawling lawn with 106' of shoreline. Continued. 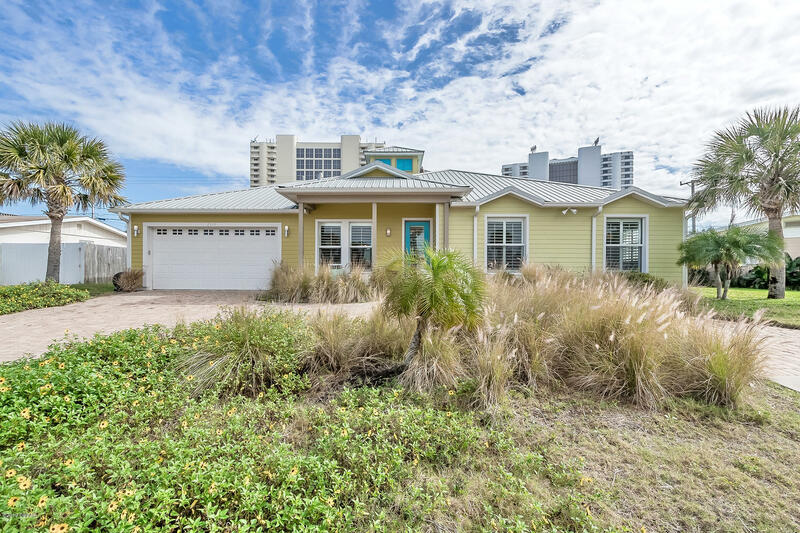 Newer beach side home located just off a1a and only a short walk to the beach! 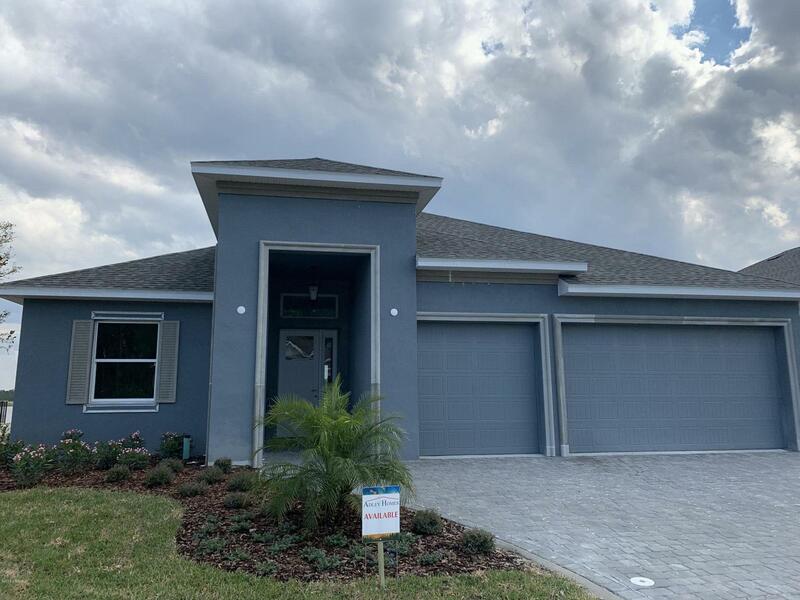 Built in 2006 with the latest building codes, this home offers all the modern amenities you could want and is move-in ready! A circular driveway and walkway with pavers lead to the front entry. Once inside you will find a tiled foyer that leads to the living room with fireplace, dining room, family room & kitchen. There are many architectural details throughout this home such as tray ceilings and arched doorways. The dining room is adjacent to the kitchen & family room, making this home perfect for entertaining or family gatherings. The cook in your family will love the modern kitchen that comes fully equipped with all stainless steel appliances, including a gas stove with custom hood and granite countertops. Direct riverfront at an affordable price in a desirable area. 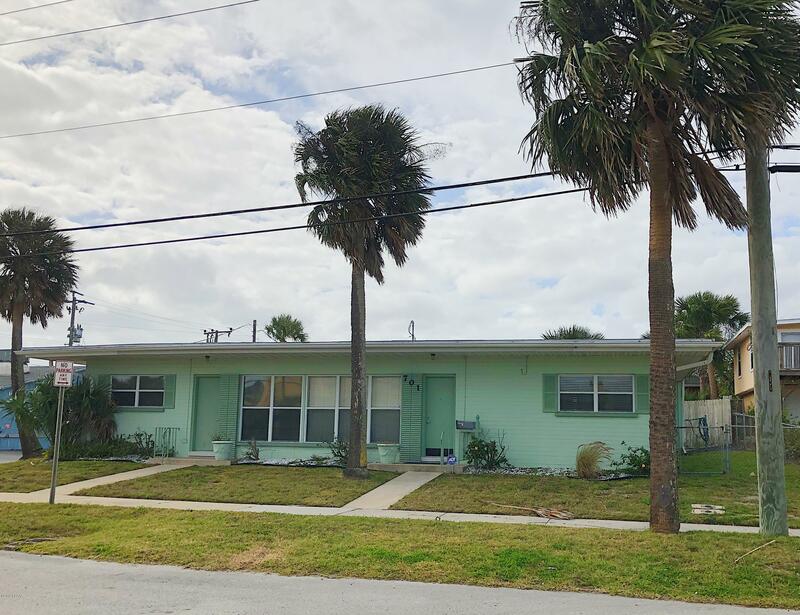 This property offers a unique layout with a 3 bedroom, 2 bath main home and a separate quarters that consists of a 1 bedroom apartment which is attached, but not connected to the main home. Come down the drive past the freestanding 480 sq. 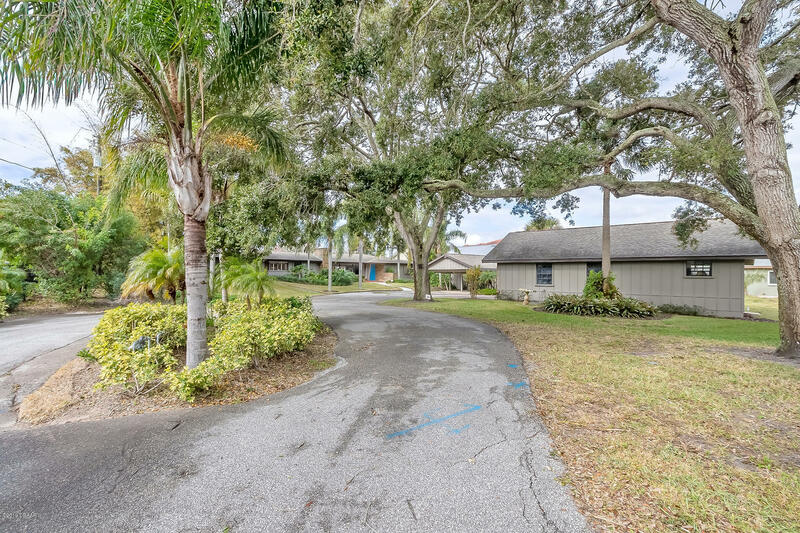 Ft. Two car garage and enter through a gate into the private courtyard that gives access to the front door of both the home and guest quarters/apartment. Great room layout with a very cool stone fireplace and a long florida room that opens to a screened riverfront adjacent to the kitchen with great views. 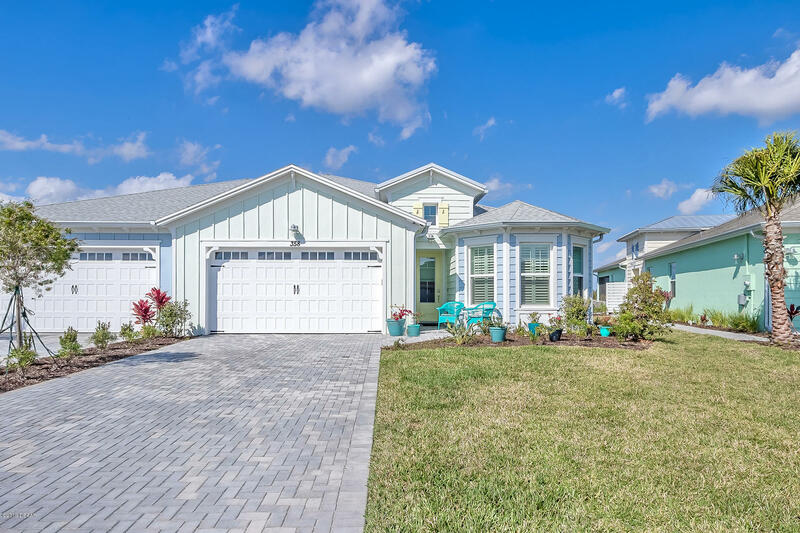 Master offers direct water views. 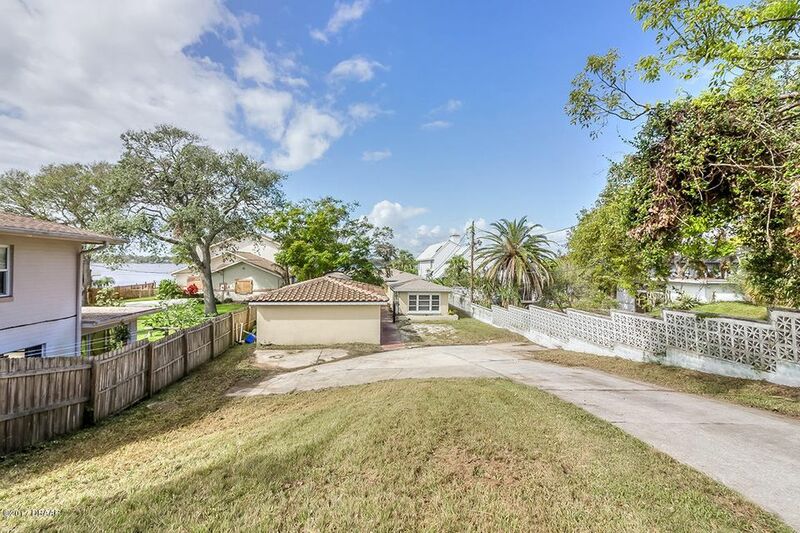 Incredible potential here with a deep back yard allowing plenty of room for a pool, cabana, etc. Cont. ''Beachside mediterranean home w/ 1 bedroom apartment w/ rental income of $1,000. 00 mo. ! 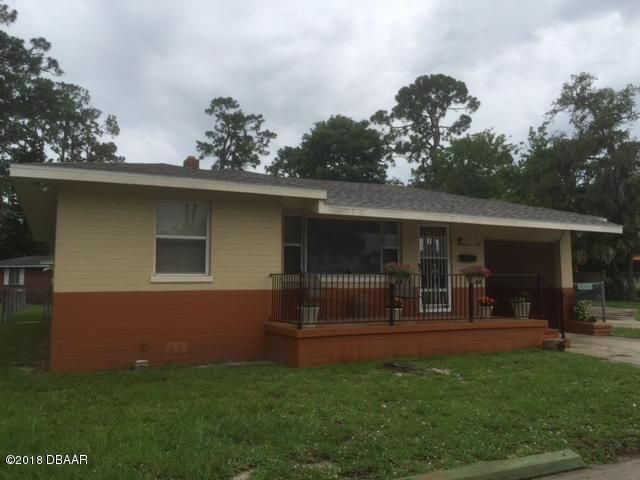 ''newly remodeled home features new kitchen cabinets w/ quartz countertops, and backsplash, brand new ss top of the line refrigerator, stove, dishwasher, & microwave. Refinished original hardwood floors, mexican & stone tile with grand fireplace in living room. Updated bathrooms, updated hvac, & irrigation system. New lighting fixture,s and fans on interior & exterior. Freshly painted interior and exterior. 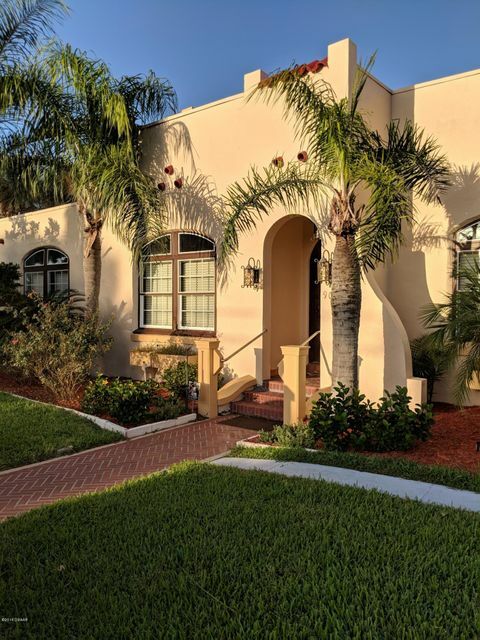 This lushly landscaped property is 1 block from the new hard rock hotel and direct beach access. 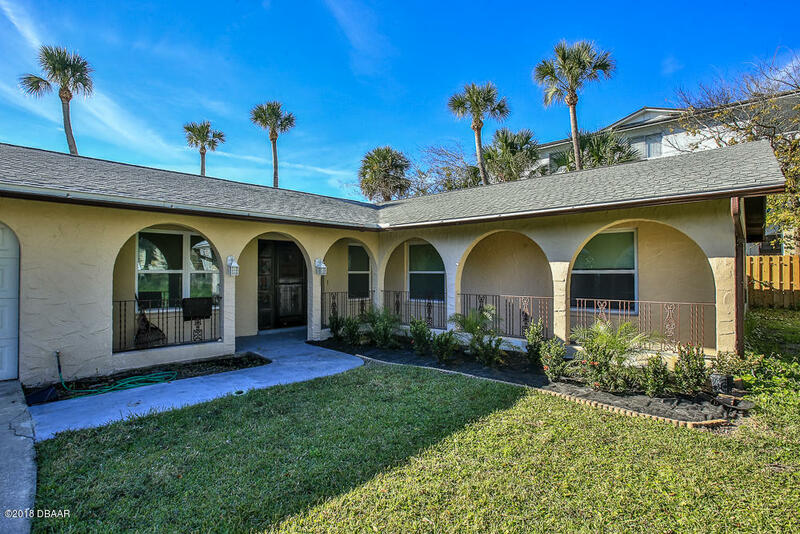 Only 1 home away from the world famous daytona beach! You can see the ocean from the side yard, and get amazing ocean breezes!